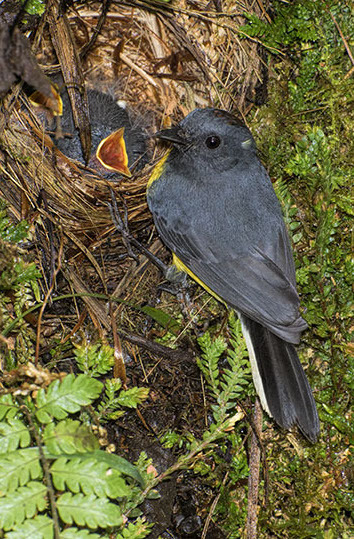 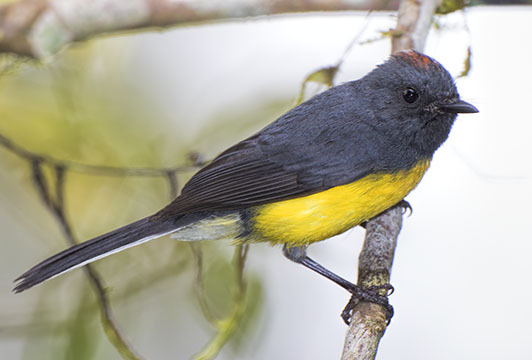 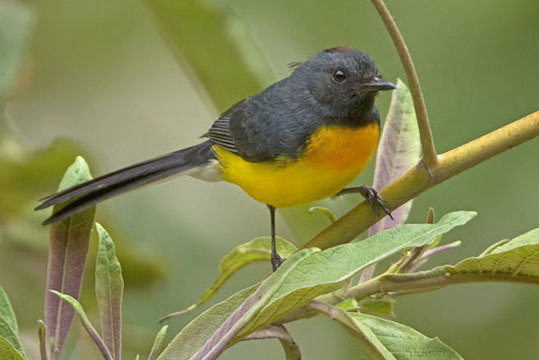 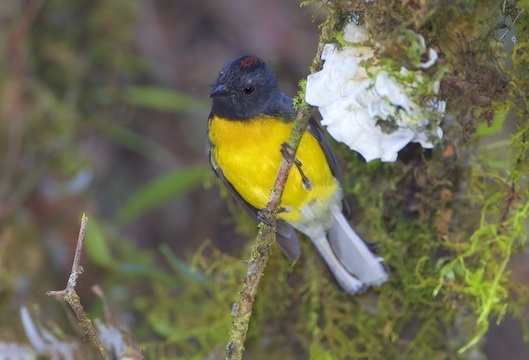 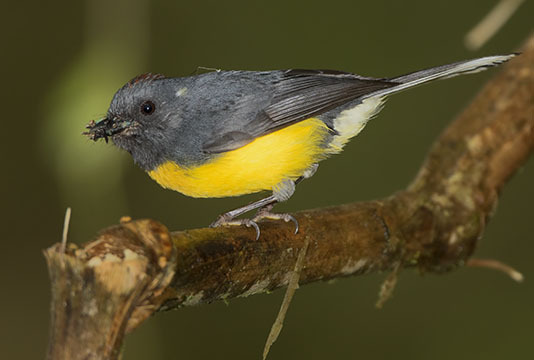 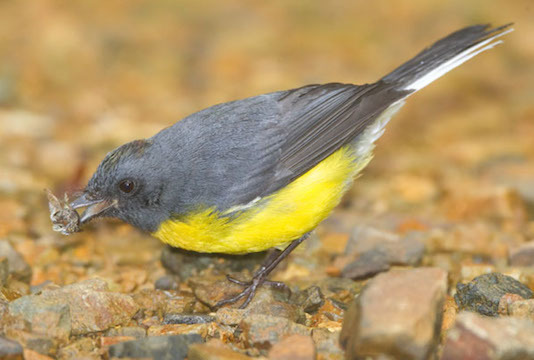 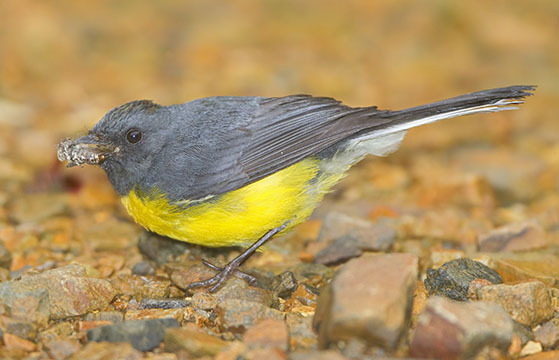 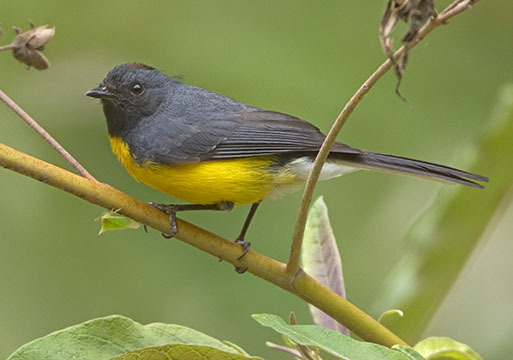 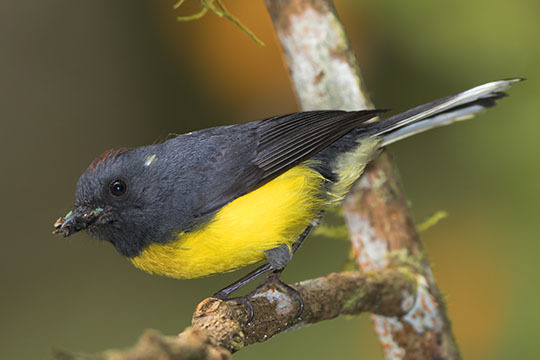 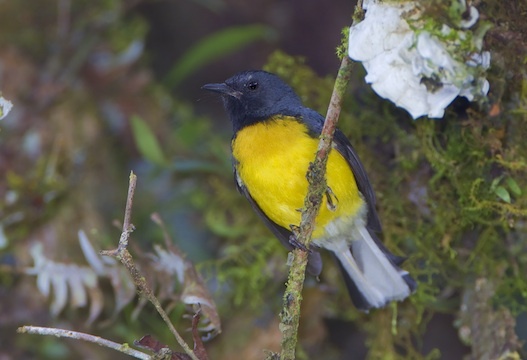 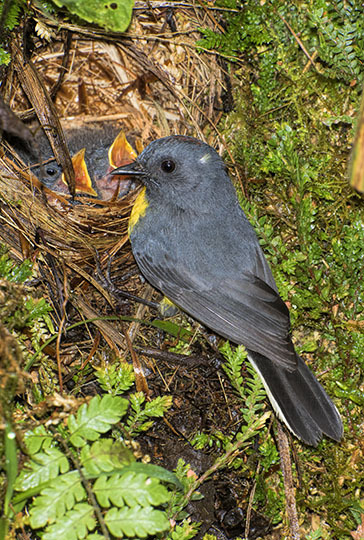 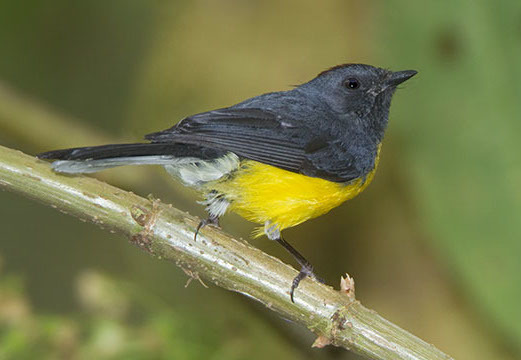 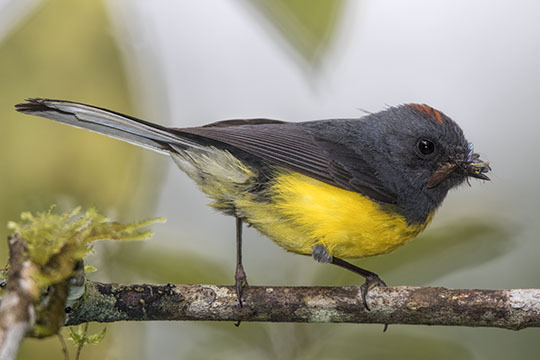 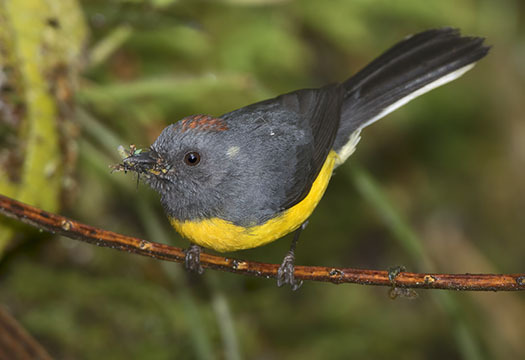 Slate-throated redstarts are active little warblers from neotropical forests, easily spotted because they are constantly fanning their white outer tail feathers ('redstart' is being replaced by 'whitestart' in the common names of this group, as in golden-fronted whitestart). 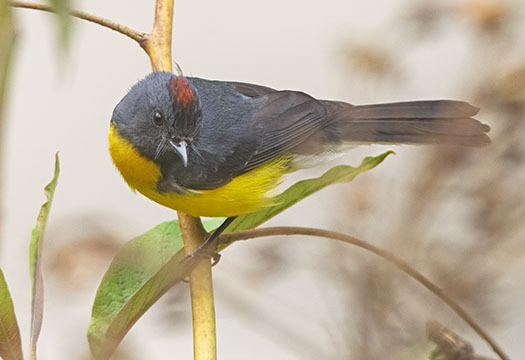 In several of these images, the species' chestnut crown patch is visible. 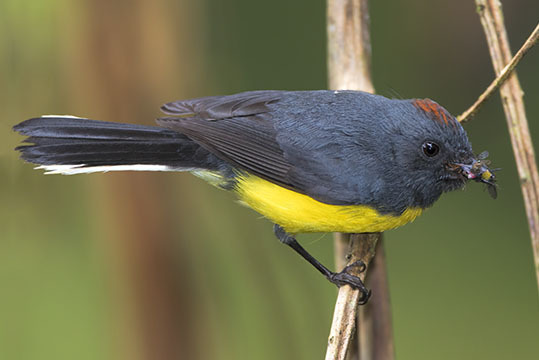 Males are slightly more brightly colored than females. 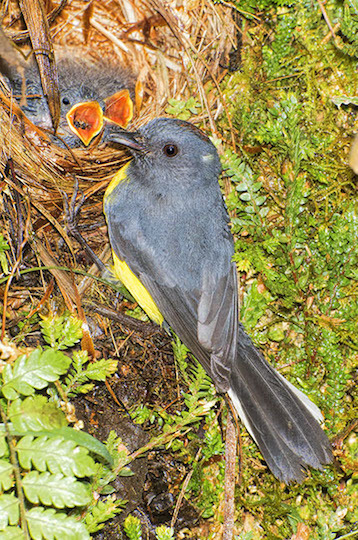 I photographed these in thick cloudforest vegetation along the Manu road, in the tourist town of Aguas Calientes near Machu Picchu on the eastern slope of the Andes in Peru, and in the mountains above Cali, Colombia.